Orange county was established back in 1734 and was the largest county created stretching west toward the Mississippi River and north toward the Great Lakes. There are many homes dating way back in time in Orange and surrounding areas. Older homes tend to need more repair as time goes along. The roof top, siding, and windows need to be regularly cleaned so that debris, stains, mold, mildew, and other issues don’t start to become a problem. Because the materials of the building are of different strengths and structures, they will need different techniques when it comes to cleaning them thoroughly. For instance, glass is weaker than stone, so to use the same force on the glass as you do on stone would break the glass. At Cavalier Window Cleaning, our experience obtained from years in the business ensures that we understand the different techniques needed to safely clean your exterior surfaces. We have performed many such services in the Charlottesville and surrounding areas. 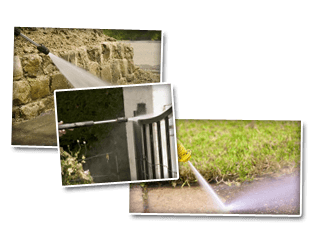 We provide several services including Window Cleaning, Power Washing, and Gutter Services. The windows in our buildings and homes are the way we see the outside world while we’re in our indoor environment. It can seem like it’s no big deal when our windows are dirty, but it really can make an impact on how we feel throughout the day. Dirty windows don’t allow us to enjoy what lies beyond our current environment and can cause feelings of depression or claustrophobia. At Cavalier Window Cleaning, we are here to help you get your environment sparkling again. Wouldn’t it feel nice to look outside once again and see clearly? Let’s not forget cleaning off the window screens also. Cleaning the windows but having dirty screens simply won’t do. We want to ensure that your screens don’t stand in the way of your view. Also, we don’t want dust or dirt that is on the screen to blow into your home. We want you to have fresh air to breathe when you open that window! The exterior surfaces of your home or business can become hard to clean when dirt, minerals, hard water, snow, ice, or other outdoor elements builds up on them. Windows can become scaled with the hard water deposits and dirt blowing in the air. 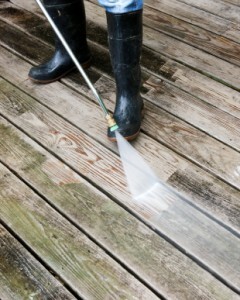 Decks, siding, and roof tops can become stained and need cleaning. Power washing the surfaces will remove stain and build up, giving your home a like-new clean feeling. It can brighten your exterior painted surfaces and make your sidewalks and driveway look clean again. Having a good, functioning gutter system on your home will keep the rain from pouring down on you when you enter or exit. They not only keep the rain off of you, but they also serve to protect the house from water damage. Water from rain storms can sit and accumulate on the roof top. If your gutters are clogged or dirty enough, the water won’t get routed away and will start standing where it falls. Gutter protectors will help the gutter system from getting clogged up, but either way the gutters will need regular inspection, repair, and of course regular cleaning. If you are looking for a Orange window cleaning & Power Washing Company then please call 434-823-1737 or complete our online request form.